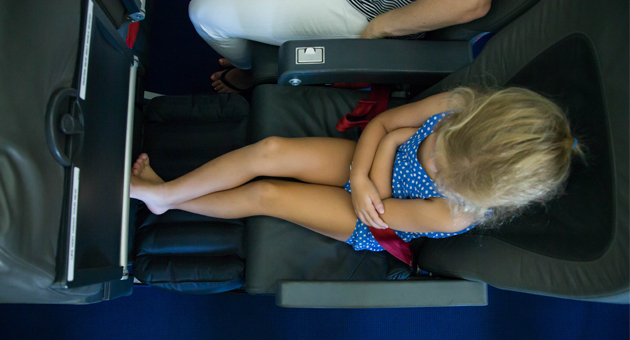 While many of us love travel, it can be a challenge when you’re exploring the globe with young kids – especially in economy seats. A Gold Coast mother has come to the rescue of traveling parents everywhere with her new business, Plane Pal. 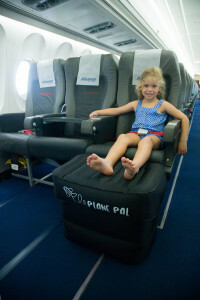 Plane Pal is the brainchild of Gold Coast-based mum Sam Cardone who has three children and a love for travel, but was sick of the discomfort her children experienced in economy seats. Since launching last October Sam says Plane Pal has experienced huge success, selling out within the first month. “The response from Australian parents has been phenomenal – many saying it has been easier to travel economy with children using Plane Pal, which is really rewarding,” Sam says. From vast (even international) success at an online level, Plane Pal is planning to expand into the bricks-and-mortar retail space in the coming months. Sam also has several other products in development at the moment, which are all focused on helping parents improve the experience of traveling with kids. The full Plane Pal kit retails for $79.95 and includes a pump and travel bag. For larger families you can purchase an additional pillow only for siblings for $69.95. It takes up to three minutes to inflate your Plane Pal and takes two or three seconds to deflate.